In years past, the horticultural world classified a variety as an heirloom because its discovery or horticultural registration predated 1938. As the decades have flown by, varieties from the 1940s and even early 1950s are now being referred to as heirlooms. 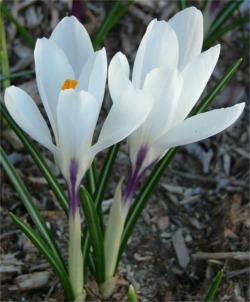 Heirloom flower bulbs have been an important aspect of garden design and restoration for decades. Special sections of federal, state, municipal, museum and private gardens open to the public are often restored with heirloom varieties according to historic documentation. Private homes may choose heirloom varieties based on childhood memories of a grandparent's or parent's garden, or the style or age of the home. From a horticultural perspective, it is valuable in and of itself to preserve and maintain as much plant diversity as is possible. 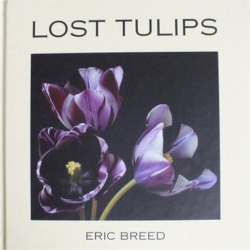 Nothing is more sad than a 'lost tulip' (to borrow the title of Eric Breed's book Lost Tulips). 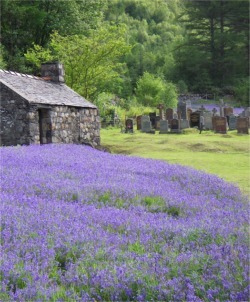 Each variety is so distinctly special and important in its own way. We do our best to offer the widest selection possible in an effort to reduce the extinction of any rare, beautiful variety. Heirloom bulbs can be incorporated easily into formal, well-kept display gardens, yet we adore most heirlooms because they are perfect inhabitants for more natural, even wild, settings. They seem to be closer to the earth, to Mother Nature. 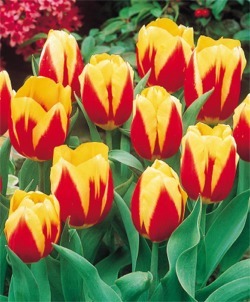 Dutch flower bulb hybridization tends to focus more on varieties that are good for cut flower production or for forcing in pots. Heirlooms offer us an amazing palette of colors, heights, forms, textures, bloom times and growing characteristics. They are treasures of the earth, worthy of our attention and protection. Most special miscellaneous heirlooms are botanical species that were originally found in the wild before being commercially cultivated in the Netherlands. 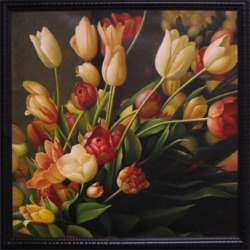 Heirloom Tulips and Narcissi were either found in the wild (in the case of species varieties), a result of early hybridization efforts, or of natural mutation and selection during the commercial growing process in the Netherlands. Heirloom varieties have survived the trials and tribulations of Mother Nature for decades, and in many cases, centuries. They are tough survivors. 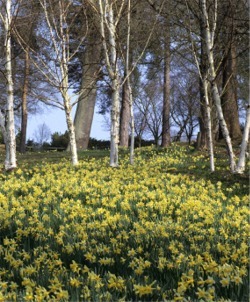 Visits to northern and central Europe will reveal vast sun dappled woodlands carpeted with 16th century Hyacinthoides non-scripta, for example. 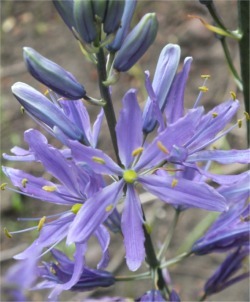 The northwest United States has waves of mid-19th century Camassia cusickii and quamash blanketing swaths of its landscape. Long-lasting heirlooms usually only ask for well-draining, neutral pH soil with the composition of sandy loam and a minimum of six hours of sunlight each day. Most would be grateful for a light top dressing of an organic 4-10-6 fertilizer three times a year, to help nourish them for the long run, although it is not always necessary. They only want to be allowed to flower and die back naturally so that they may be fed by as much photosynthesis, and chlorophyll, as possible. 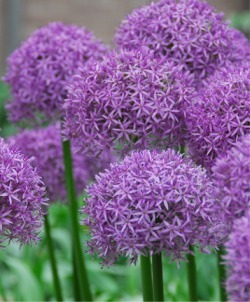 As much as we'd like all varieties of flower bulbs to be available forever, it is not always possible. As they age, some varieties may become susceptible to disease, pests or fungal infections. 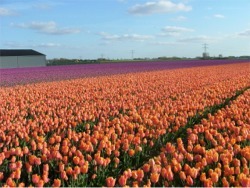 In both the Netherlands and the United States, horticultural restrictions on the use of chemical and organic fertilizers, pesticides and fungicides tighten every year, as they should, to protect our water, air and earth. Please rest assured that we never substitute name varieties. Our bulbs, our heirlooms, are the real deal. Here are the incredibly vital, healthy heirloom varieties that we are carrying for your consideration. If you are looking for an heirloom bulb that we do not carry, we are happy to refer you to Scott Kunst's Old House Gardens. If you need any help making a selection based on what would work best in your horticultural zone or planting site, call us. We would be happy to help you. NOTE: We never substitute name varieties or change the name of a variety with the exception of three varieties in our collection. 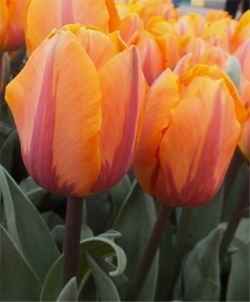 In memory of Hil van Eeden, long-time family friend and colleague, we call Giant Darwin Hybrid Tulip Ivory Floradale as Cream Jewel. 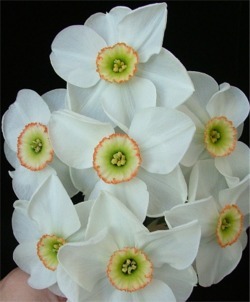 Trumpet Daffodil King Alfred has not been grown for decades. 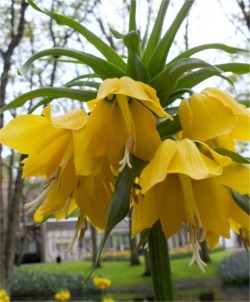 We select the best, strongest, most healthy, bright yellow trumpet daffodil with similar form, bloom time and growing characteristics in its stead. 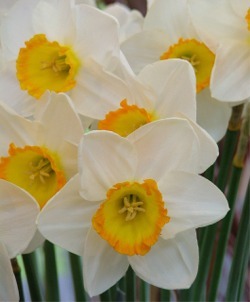 This year, as in past years, we are carrying Trumpet Daffodil Dutch Master (pre-1938) as our King Alfred-type.